These tater tots are made with leftover mashed potatoes. I still have a ton of leftover mashed potatoes from Thanksgiving, so this was a super yummy way to use them. 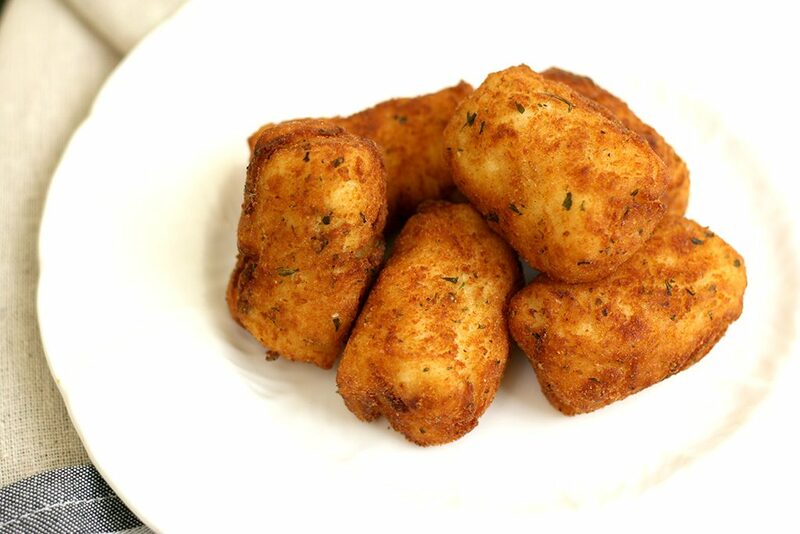 Check out my mashed potato recipe if you don’t have any leftover mashed potatoes and want to make these delicious tots. Mix together mashed potatoes, egg, and flour in a bowl. Shape into tater tot shapes using 1 Tablespoon of the mashed potato mixture. Coat in bread crumbs. Heat about 3 inches of oil in a large pot to 350°F. Fry in small batches so the pot isn’t crowded. Cook until browned all over, about 2 minutes. Eat on their own or dip in ketchup, BBQ sauce, or even gravy.